As the impact of social media on marketing campaigns becomes increasingly evident, many business owners are concentrating more heavily on the various big social media platforms to deliver their results. Although that is a healthy, natural progression, we need to remember the forerunner of all these channels and continue to harness its ongoing power as well: email marketing. 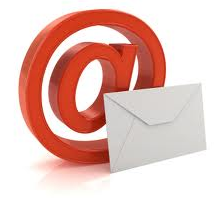 We must ALWAYS obtain permission before adding addresses to our email marketing lists. Just as a majority of people strongly dislike being cold called on their phones or at their doors, most do not welcome unsolicited marketing emails. Receiving them could fast track our companies’ messages onto their spam lists. And if they complain to our email service providers, we could find ourselves heavily censured. As our email marketing lists grow, it is wise to make use of the segmenting tool offered by most service providers these days for messages that may optimally appeal to only some of our companies’ followers. That’s a good practice to ensure that our whole list doesn’t get bombarded with messages that may not be specifically appropriate for every individual member. The best presentation for our email messages is one which is branded in design and color to match our websites and our other social media platforms. Continuity in appearance fosters trust and confidence in our companies by virtue of that attention to detail. We need to pay special mind to our writing styles. Use of all capital lettering, too many exclamation points, and certain buzz words such as DEAL, SPECIAL, and OPPORTUNITY may discourage reading further than the first line of our opening paragraphs; if that writing style is in our subject lines our messages may be automatically relegated to the spam file before our targeted readers even lay eyes on them. Our email messages should not overstep the bounds of propriety by attempting to portray ourselves as our target recipients’ best pals; nor should they be preachy and one-sided. We need to craft our communications in an interesting, engaging fashion, optimally displaying professionalism in a way that exhibits our companies’ human side. Also, we should encourage interaction wherever possible. As with our companies’ blog posts, our email messages need to educate and inform most of the time, and not be off-putting by constantly hard selling. 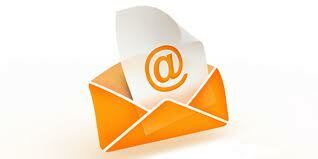 We should always include in our email messages links to our websites and our other social media platforms. Doing so encourages engagement on a broader scale, since readers are given the option to interact in ways other than by just hitting the reply button. Posting our other links makes the process easy for our readers…and the easier we make things for them the more positive their responses are likely to be. Another must is to include buttons which enable the sharing of our messages by our readers with their contacts via their email accounts and/or social media sites. Remember that old Herbal Essence shampoo commercial? Let’s make it super easy for our readers to tell some friends, who in turn may tell some friends, and so on, and so on! DO NOT SPAM!!! We want to stay in touch without being overbearing; we need to convey our messages without going over the top in our deliveries; we must always offer our target readers the option to “opt out,” or to stop receiving, future messages from us. It is important for us to remember the vital role email marketing can play in our social media strategies. Let’s remember to include it as a key ingredient, treating it with the respect it deserves so that it will deliver the results we desire! What other tips/etiquette pointers can you offer for our email marketing campaigns? Please share your thoughts in the comments section below!